Romania’s no. 1 player Liviu-Dieter Nisipeanu has become Germany’s no. 2, after completing a switch of chess federations. The move, which gives the German team a boost ahead of the upcoming 2014 Olympiad in Tromsø, Norway, follows years of difficult relations between Nisipeanu and the Romanian Chess Federation, which saw him miss the 2010 and 2012 Olympiads. Ok, there’s a special problem. It’s unclear whether Arkadij Naiditsch will play along, as he’s still holding negotiations of a financial nature with the German Chess Federation. Until that’s resolved I can’t finalise the team, although I’m very confident that in the end Naiditsch will be there. Additionally, there’s an interesting development which we’ll make public as soon as it’s all become clear. That also relates to picking the national team. As is clear even just from that quote, Germany, like Romania, has suffered conflicts between their star players and the chess federation. Germany’s best players boycotted the 2010 Olympiad in Khanty-Mansiysk, complaining that Europe’s biggest chess federation failed to find money for the players. 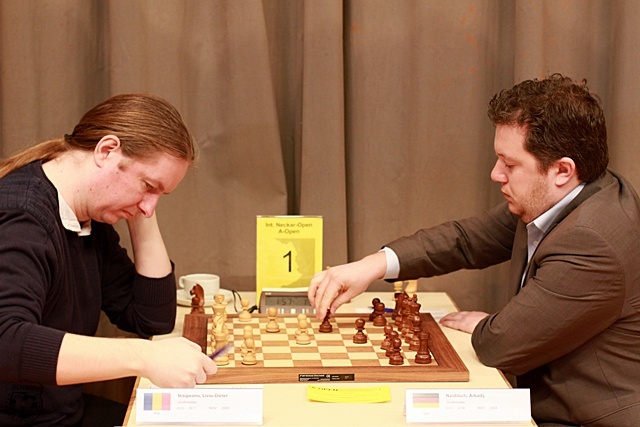 The team that was sent to Russia featured 2563-rated Rainer Buhmann on first board. Romania’s woes were even greater, as they failed to send a team at all after the players complained that the federation had failed to live up to its promises. Since then matters have improved for Germany, including victory in the 2011 European Team Championship, while Nisipeanu was still an absentee from the 2012 Romanian Olympiad team. Nisipeanu’s switch to Germany is, in many ways, natural. His second forename alone suggests the 39-year-old player has German roots – indeed his mother is German – and anyone who encounters him would take him for a native, given the fluency of his German. Anyone who knows him better is also aware that Liviu will be an asset to German chess not only in sporting terms but also due to his mentality. Despite his great playing strength – the 2005 European Champion’s rating of 2686 puts him in 58th place on the world rating list – he remains very sociable and approachable. The transfer of such a strong player doesn’t come cheap, although the 5000 Euro transfer fee might be money well spent in the run-up to the 2014 Olympiad (whose website is hosted here on chess24). With Arkadij Naiditsch and Nisipeanu on the top boards can Germany challenge for medals? 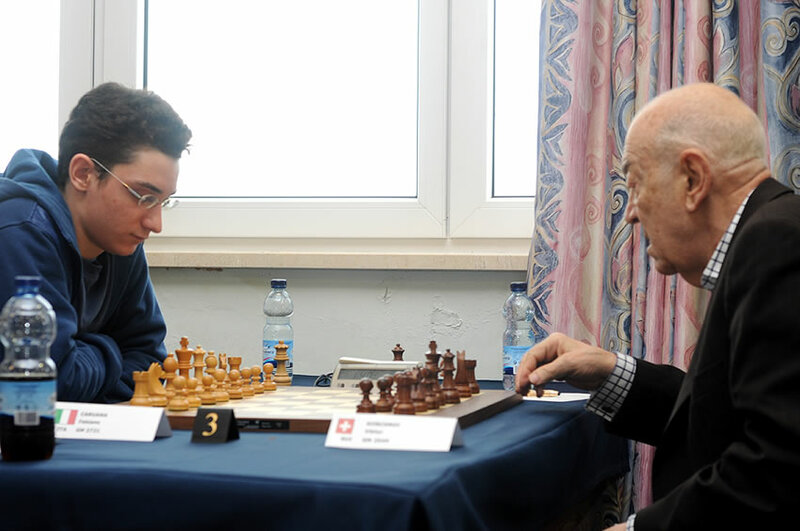 Alexander Ipatov – the 2012 World Junior Champion stands out for having switched chess federation twice by the age of 20. Born in Ukraine, he later played for Spain and now Turkey. Anna Muzychuk – the fourth highest-rated woman in the world plays for Slovenia, despite also being born in Ukraine. The greatest curiosity here is that her sister, Mariya, has stuck with Ukraine, where she plays on board two. Sergey Karjakin – Another Ukrainian-born player to jump ship (you might infer chess isn't well-funded in Ukraine!). His transfer to Russia was a sensational development for such a highly-rated player. Since Crimea has hit the headlines it’s become clearer why Karjakin, born in Simferopol, previously said that despite being born in Ukraine he already felt Russian. Alexei Shirov - The Latvian star - who qualified for but never got a chance to play a World Championship match against Garry Kasparov - switched to Spain back in 1995. His reasons were both personal (a comfortable location for his then Argentinian wife) and professional - he was angry with his federation while conditions in Spain were excellent for chess players. The prodigal son returned to Latvia over 15 years later in 2011. Fabiano Caruana and Anish Giri – The ones who got away! These two super-talented youngsters switched federations early on, disappointing their birth countries of the USA (Caruana) and Russia (Giri). Viktor Korchnoi – No later “switch of federation” has been able to match the political significance of World Championship contender Korchnoi’s famous defection from the Soviet Union in 1976. He first moved to the Netherlands but now plays under the Swiss flag.